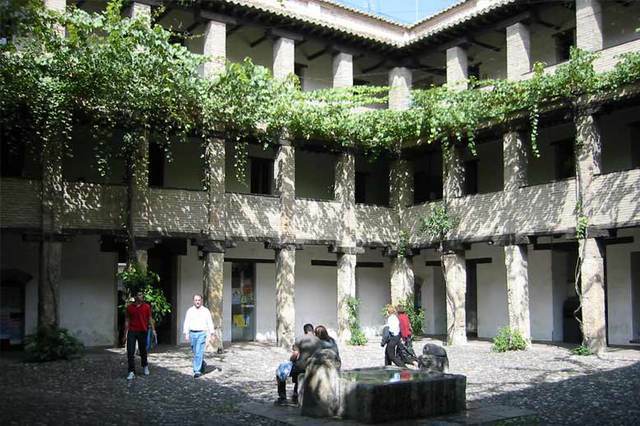 Spanish School in Granada - a paradise for lovers of nature, sport enthusiasts and sun-worshippers. Granada is the capital of the province with the same name, situated in the eastern part of the region of Andalusia. Geographical and scenic diversity characterizes the area. There is the coastal area with its warm climate and the mountainous regions with a colder climate, where you will find the 3,481 meter Mulhacén, the biggest peak on the peninsula of Spain. 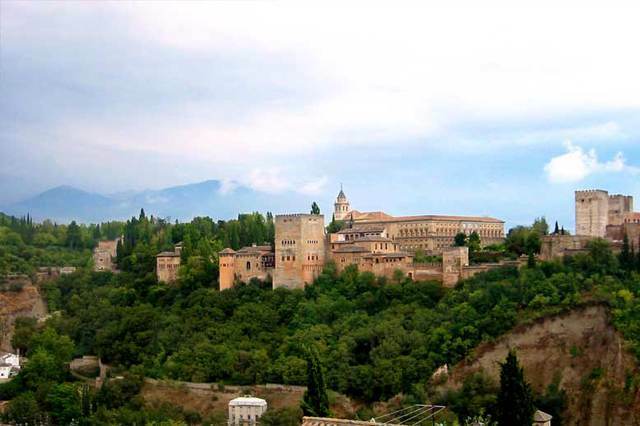 The city of Granada is located at the foot of the sierra Nevada mountains. Its unique history gives it an artistic grandeur embracing Moorish palaces and Christian Renaissance treasures. don Quijote Granada occupies an entire five-story building. The school is light and airy, with lots of windows and balconies overlooking the street. The atmosphere at the school is intimate and relaxed. The building is centrally heated and air-conditioned–both indispen sable features in Granada, where summer and winter temperatures can be extreme. Just like all other don Quijote schools, don Quijote Granada is equipped with modern teaching aids such as computers and audio-visual equipment. The recreation room is on the lower level. Here, you can watch TV or a DVD, listen to music, read books or newspapers, play board games or darts, etc. The school is located in a safe, quiet area in the city center, on c/ Azhuma 5, just a stone’s throw from the cathedral and within walking distance of the Alhambra, the Albaicín and the Conference Center. Buses depart not far from the school almost every hour for the Sierra Nevada and the Mediterranean coast. You will meet fl amenco dancers, guitarists and thousands of other students in the streets. That makes the city especially lively. Granada is an excellent choice if you want to get to know Spanish student life and real Spanish traditions.